Home › California › If something could be the Government’s fault, it probably is. If something could be the Government’s fault, it probably is. So first I must apologize for my hiatus. I spent a month traveling for work from Wisconsin to Long Island. I returned on a Thursday so I could babysit my daughter on a Friday as my father-in-law was having surgery and his wife is our usual babysitter. After being at work for a week now, I am back at playing Mr. Mom as I continue to babysit while my mother-in-law oversees her husband’s recovery. As an aside, I tried to take my one-year-old little girl to Newport Beach today, and I forgot to bring her shoes…oh my, the calamity. I had no idea. I bought a new house about two years ago, my first. I love it. It is absolutely perfect, and it should be since I had to wait for The Fed to take a break in destroying the housing market long enough for me to pick one up at the bottom of the bubble bursting. But as I write this to you, I am sweating like a Burmese wild boar during hunting season. Why is that? Well, my dear reader, that is because this house was built in 1989 and I am assuming it is on its second HVAC unit which makes it both old, and inefficient. But like a good Capitalist, I respond to price. The price of electricity in California to run my air conditioning is remarkably, and inexplicably high. Could I afford it? Yes, I’m sorry, my ego requires me to admit that I could, but alas, I am a man of principle and it bothers me immensely to pay more for something than I should. So instead, I sweat. Not an hour ago, outside on the deck enjoying the cool night night breeze after a long hot day, while I sit drinking my beer, I used Google to educate myself on exactly why I am forced to sweat while living here in the beautiful Socialist State of Kalifornia. As proves to be true in most occasions when I take the time to look into it, the Government is at fault. Not surprised, I sip my beer (a Samuel Adams Porch Rocker) and sigh an Angry Woodchuck sigh. First, I Google what the average electric bill is in California. The boards listed provide a much cheaper amount than what I am paying, but the boards are from 2008. Not good enough. I find a website that explains, in no uncertain terms, “Why Your Electric Bill is Getting More Expensive.” To be brief, it turns out that after Enron, since Government never wants a, “serious crisis to go to waste,” the State decided to take control of what the electric utility companies can charge for electricity for the poor and unfortunate. You know, “for the children,” ad nauseam. No, I mean it, to the point of nauseousness. The reason Vegas doesn’t take bets on what Government is going to do about any given problem is because it’s a given. Whatever hurts you and helps Government, is the given. Turns out, the reason electricity is so high in California is not inexplicable. Turns out, that Tier 1 and Tier 2 electric usage prices are tightly controlled by the State, while Tier 3 and Tier 4 are very expensive. Tier 1 and Tier 2 are what the State considers to be, “enough” electricity for a family. So in California, if you are using more than, “enough” electricity, as determined by the State bureaucrats, you are penalized in Tier 3 and Tier 4. Again, not surprisingly, most middle class families in California fall into the Tier 3 category, some in the Tier 4. Yours truly is in Tier 3. So what constitutes Tier 3? I have a refrigerator, an “Energy Star” chest freezer, two TV’s (one flat screen and one old school big screen), a dishwasher, a garbage disposal, two garage doors, one desktop computer, a printer, a dryer and a washing machine. My stove, water heater and home heat are natural gas. My wife and I are the only ones at home and for most of the day, we are both at work. Our daughter is with her Grandma all day. And yet, I am in Tier 3 even if I don’t run my air conditioner. And honestly, I never run my air conditioner. How does that compare to you? I bet if you were in Kalifornia, you would be Tier 3 too…and that is the problem. According to the article, the wealthy have spent a lot of money on solar to get out of Tier 3 and Tier 4, while the “protected classes” get rebates, subsidies and price protection in Tier 1 and Tier 2 which leaves a large swath of the middle class earners stuck in Tier 3 and Tier 4 paying through EXORBITANT prices the subsidies the State’s price protection affords to Tier 1 and Tier 2. Once again, and not shockingly, Government has run amok and caused chaos and disorder by screwing up royally the simple and efficient capitalistic system of pricing anything at what it costs, for everyone, equally. Call me crazy. In return the State politicians get votes for protecting the poor, and the middle class is ignorant as to what is causing their pain. Typical. It’s Government 101. 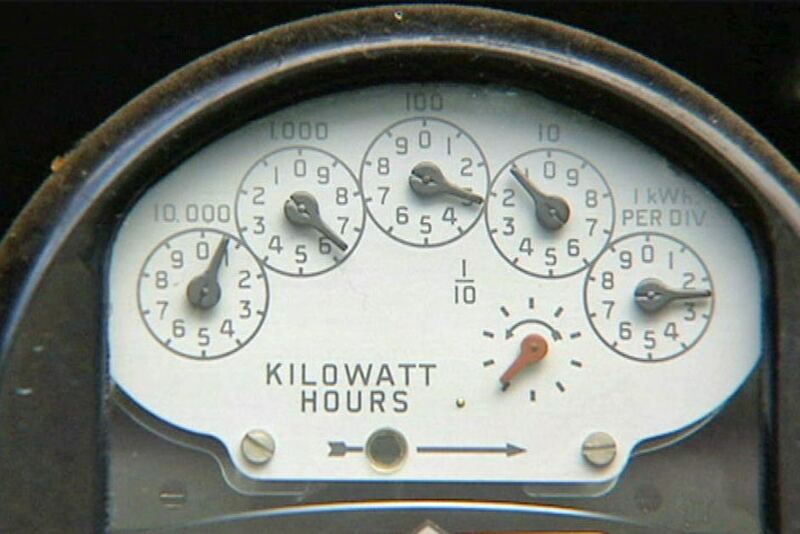 So whose fault is it that the price of electricity is so high that I refuse to pay such exorbitant highway-robbery amounts to the point that I find myself sweating all day today? It is Government’s fault, and I found all of this out with just ten minutes of Google searches sitting out on my deck. Once again, if something could be Government’s fault, it probably is. All you have to do is Google the truth. The truth will piss you off, and hopefully make you a Libertarian like me. More individual freedom. Less collectivist Government. Stand with me. ‹ Jefferson Memorial – One of the Founding Founders – Why is it so out of the way?